We’ve outlined some common dental facts you should be aware of to keep your children’s teeth healthy. If you need to schedule a children’s dental cleaning, call today! A child should visit the dentist within six months of the eruption of the first tooth or by age 1. Children risk severe decay from using a bottle during naps or at night or when they nurse continuously from the breast. 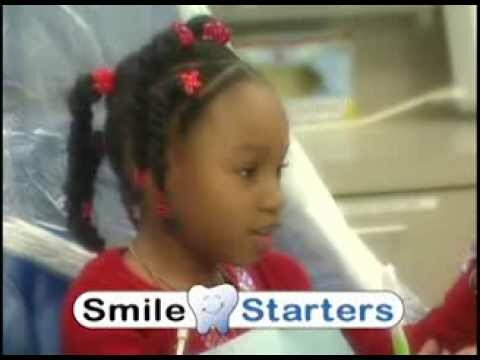 Children with healthy teeth chew food easily, are better able to learn to speak clearly, and smile with confidence. Children should be weened from the bottle at 12 to 14 months. If your child sleeps with a bottle it should only contain water. At-will breast feeding should be avoided after the first primary teeth appear. Drinking juice from a bottle should be avoided. Most children stop thumb sucking by age 2, but if prolonged can create crowded, crooked teeth or bite problems. Dentists can suggest ways to address a prolonged thumb sucking habit. Limit frequency of snacking, which can increase a child’s risk of developing cavities. The toothbrush should have a small head brushing surface. When your child’s first tooth appears, use a tiny smear of fluoride toothpaste, at about age 4 use a pea size drop. Teach children to spit out rather than swallow toothpaste. The following can help: a clean teething ring, cool spoon, cold wet washcloth, chilled ring, rubbing the gums with a clean finger. Don’t clean pacifiers and eating utensils with your own mouth because your bacteria can be transmitted to the child.